The Shrewsbury and Telford Hospital NHS Trust (SaTH) is the main provider of acute hospital care for more than 500,000 people from Shropshire, Telford & Wrekin and mid Wales. 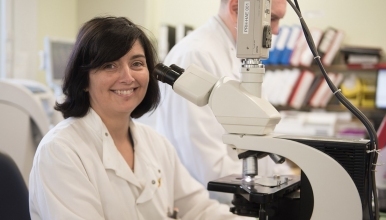 Pathology provides pathology services to the Trust and Shropshire County CCG, Telford and Wrekin CCG, Powys Teaching Health Board, Powys Healthcare Trust, and the Robert Jones and Agnes Hunt Orthopaedic Hospital, amongst others. The Trust operates Pathology services on three hospital sites: The Royal Shrewsbury Hospital (RSH), The Princess Royal Hospital (PRH) and Robert Jones and Agnes Hunt Orthopaedic Hospital (RJAH). We are looking for a highly motivated, experienced and enthusiastic individual who can help maintain and develop the Haematology section of the Blood Sciences Department. The successful applicant will be a suitably qualified and experienced HCPC registered Biomedical Scientist with a minimum of five years post registration experience in Haematology. You must possess a relevant professional qualification to degree level or equivalent and hold an MSc, FIBMS or equivalent in a relevant discipline. Core duties will consist of participating in the day to day management of the department, and deputising for the Deputy Head Biomedical Scientist when the need arises. In addition you will be expected to play a full and active part in audits, quality assurance, asset management, troubleshooting, stock control and other areas of quality governance. You will have experience of training staff, promote a learning environment and be proactive in the development of staff. You will have considerable experience of blood film morphology. The successful candidate should also demonstrate excellent communication, interpersonal, organisational and IT skills and a have flexible attitude, and able to exhibit a commitment to the development of your specialist discipline. All duties will be performed to a professional standard as directed by the Health and Care Professions Council and Trust/departmental policies and procedures. Previous experience of cross-discipline working, would be an advantageous, but is not essential. The post is based at The Princess Royal Hospital site, with occasional travel between sites required.